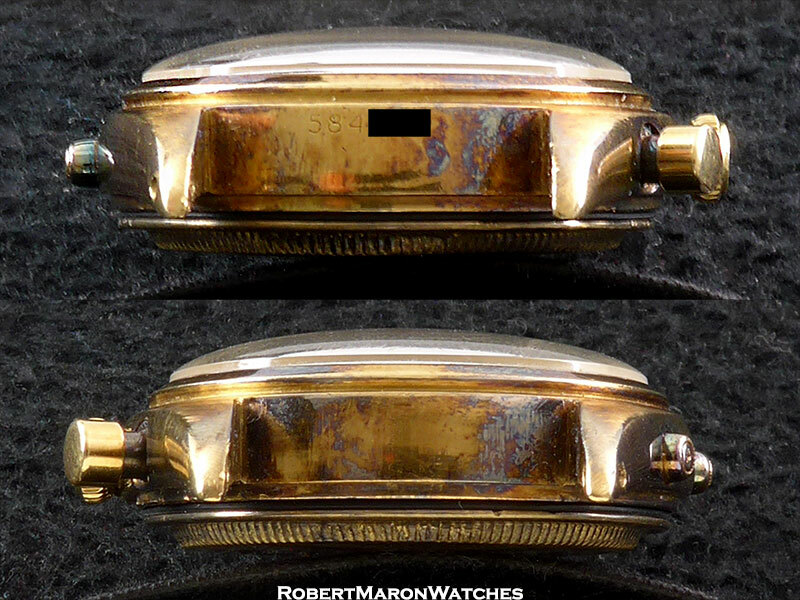 Additional Information Special special watch right here. 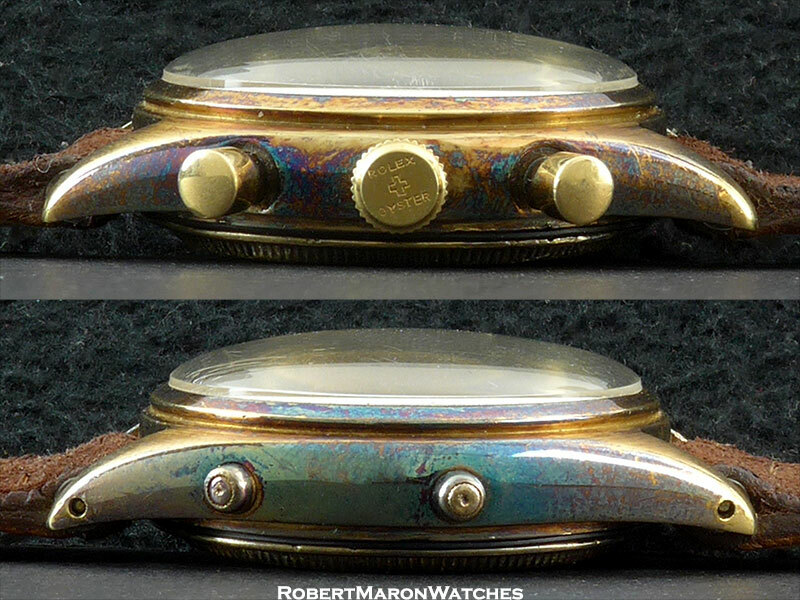 First series Rolex Dato Compax model 4767. 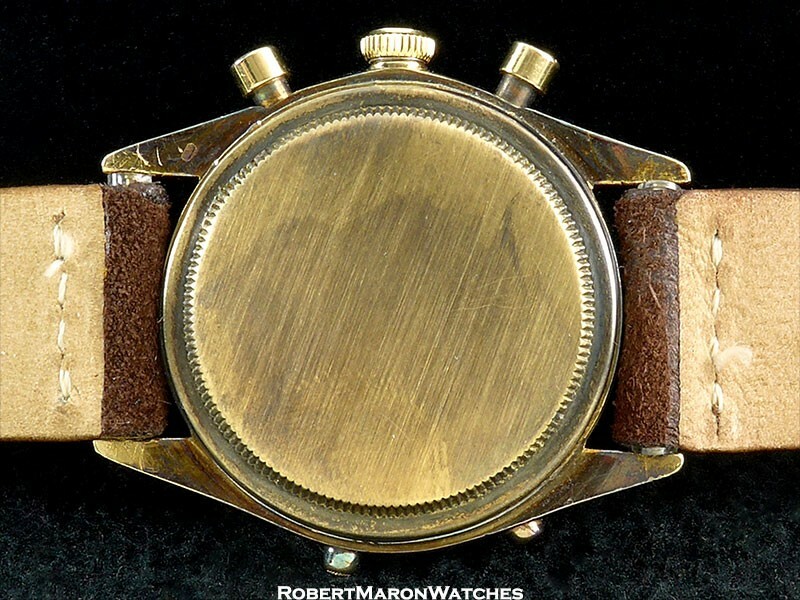 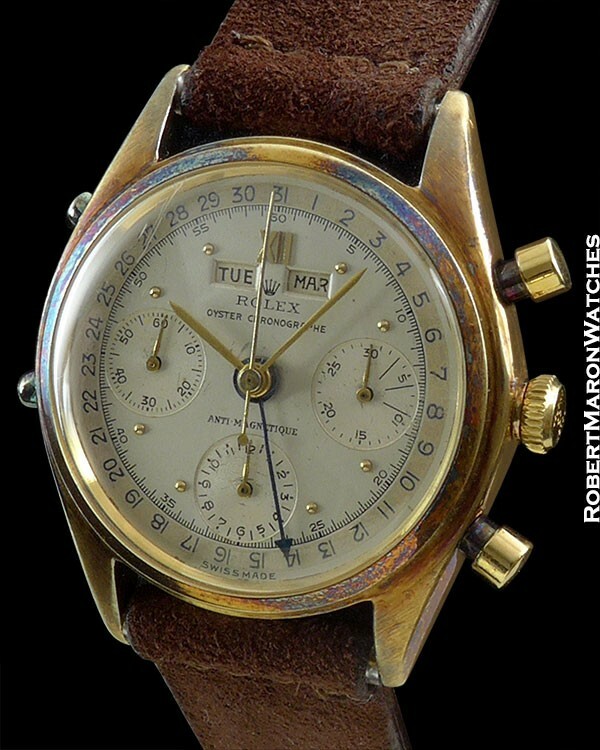 Case is 18k gold with heavy patina and two-tone original silver dial. 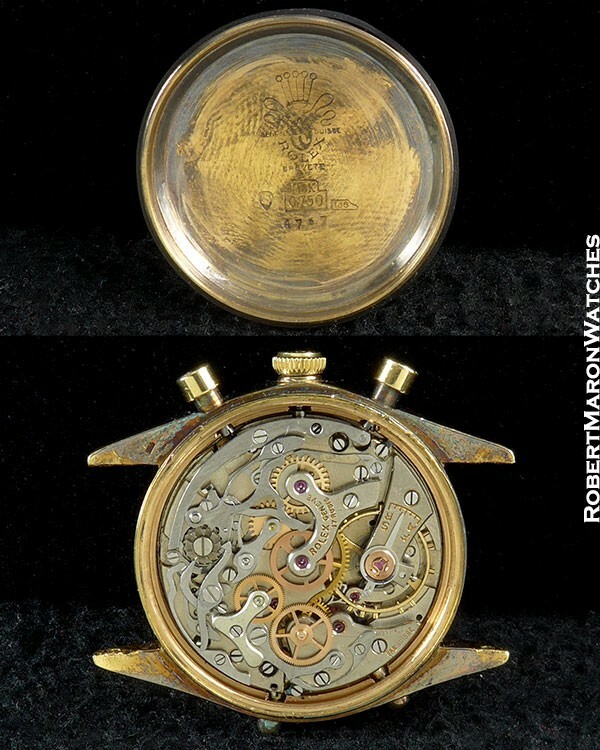 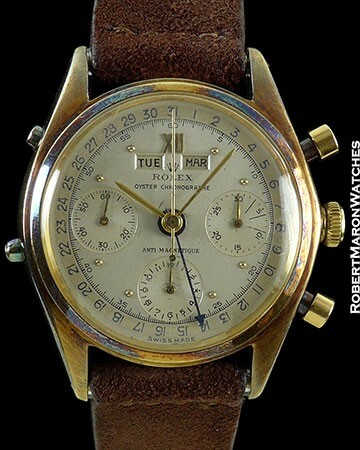 An absolutely remarkable wristwatch.